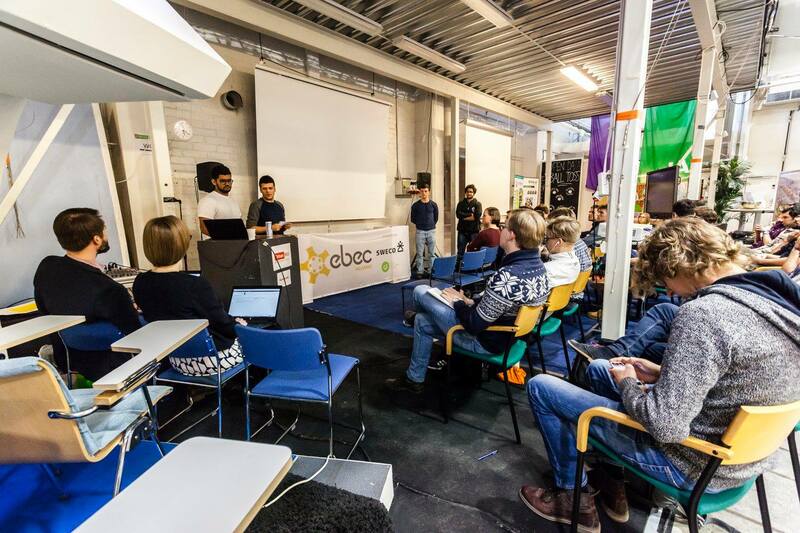 EBEC Helsinki 2016 was organized 1st of April in Urban Mill. 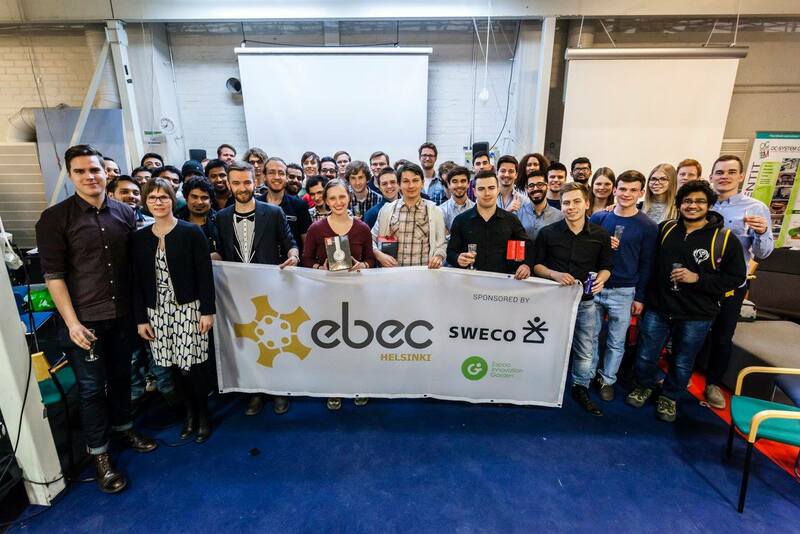 The event was successful and a team for EBEC’s regional round in Copenhagen was found. This year the task of the competition was a case study, provided by Sweco. The topic of the case study was finding ways to utilize big data in building information models. The event started at 11 o’clock with an opening speeches from our partners Espoo Innovation Garden and Sweco. Sweco introduced the teams to existing building information models and provided necessary knowledge needed for solving the case. After that the topic of the case study was revealed and the competition officially began. The next five hours and 30 minutes were reserved for solving the case and preparing a presentation of the group results respectively. Right away, all ten teams started to brainstorm different ideas and to create possible solutions. During the day members of BEST Helsinki and the product sponsor Red Bull made sure that the participants had enough energy by baking pizza and offering beverages. During the whole competition Sweco’s personnel were also there to answer teams’ further questions regarding building information models. After a long day of hard work, it was time for the teams’ presentations. Every one of the solutions were well thought out surprisingly different from each other. Eventually the judges chose the Russian-Ukrainian NoGMO to be the winning team. Winner’s prizes were a place at the EBEC Nordic in Copenhagen and Beats headphones provided by Espoo Innovation Garden. The EBEC day continued with an after party in Tieto sauna, where participants were able to meet each others more freely and relax after a long and intense day of case solving. Thank you to all the teams for participating and to the partners for making the organizing of EBEC Helsinki 2016 possible. Previous: KESÄKURSSIEN HAKU ON AUKI! Next: NORDIC CRUISE VOL.2 ALKAA PIAN! Kesäkurssien haku auki 18.3 saakka!